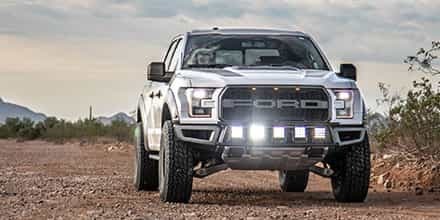 Unlike nearly all of their competition who decided that if their coilovers and shocks for the 2014 F150s bolted up to the 2015-2019 F150s, then everything was fine, ICON took one look at the much lighter, aluminum-clad bodies of newly re-designed F150s and went right back to the drawing board to create a whole new lineup of high-performance off-road coilovers and shocks for perfect fitment. 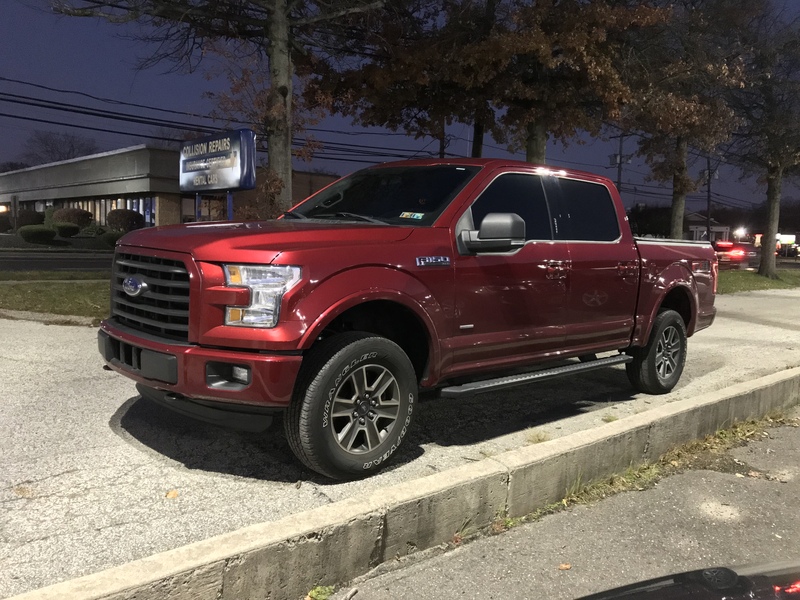 Part of the fruits of their research is this 2015-2019 F150 4WD Stage 1 Suspension package. 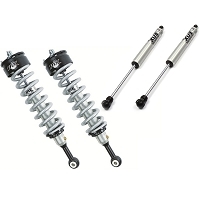 This awesome, entry-level, off-road suspension system comes standard with a pair of ICON 2.5 Coilovers that feature adjustable ride height of up to an additional 2.5" and a pair of ICON 2.0 Aluminum Series Rear Shocks that work together to get your truck improved suspension response, more travel, and greatly reduced fade. 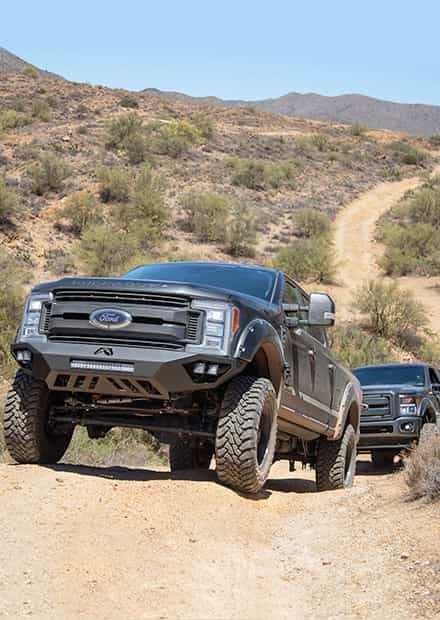 ICON's coilovers and rear shocks are some of the highest-quality suspension components that you can put on your truck, and can handle the toughest challenges both on and off of the beaten path. 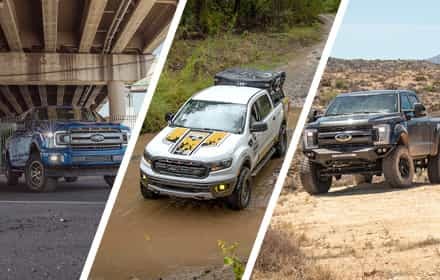 ICON's 2.5 Coilovers practically need no introduction, and are one of to go-to performance suspension parts for F150s that are going to see plenty of off-road action. Due to the lower curb weight of the 2015-2019 F150s, ICON totally redesigned and tuned the valving of these 2.5 coilovers to provide perfect performance both on and off the road for your aluminum-bodied truck. 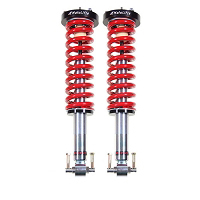 Each coilover is built around a 2.5" diameter shock body made high-quality aluminum that allows for a much greater oil capacity and stock with improved heat dissipation over more standard steel struts. 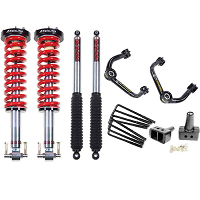 The shock body comes wrapped up with a heavy-duty Eibach coilover spring that helps with response and eliminates bounce while still keeping your street ride tolerable. The upper and lower vehicle mounts, as well as the spring mounts, are each made from CNC machined 6061 billet aluminum that is then topped off with a black anodized finish for a great look. The coilover uses a specialized alloy lower bar pin mount that is extremely strong and allows the coilovers to drop right into place of your factory strut and spring assemblies. The coilovers can be adjusted to up to 2.5" of extra ride height over stock using an optional ICON coilover spanner wrench. 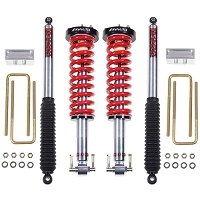 To improve the rear suspension function of your aggressive 2015-2019 F150 build, ICON includes a pair of their extremely impressive 2.0 Aluminum Series Rear Shocks that have more travel, improved performance, and greatly reduced fade over your F150's factory rear shocks. ICON's shocks feature 2" diameter bodies with 5/8" Nitro Steel Shafts that work with the larger oil capacity of the shocks to improve response. The shock body is made out of 6063 aluminum with an anodized finish that dissipates heat much more effectively than stock while resisting corrosion. Each ICON 2.0 Rear Shock was carefully valved and tuned for the lighter curb weights of the 2015 F150s, giving your truck the performance and ride quality that it really deserves. The two shocks included in this kit bolt-on right in place of your truck's factory shocks without any permanent modifications and can handle up to 2" of additional rear lift over stock. 2015-2019 F150 Fitment: This kit is designed to fit 2015-2019 F150s with four-wheel drive. A version that fits two-wheel drive F150s is also available. Had the Stage I kit on now for 2 days and all I could say is WOW! I really had mixed thoughts after the blog on the Boss leveling kit came out stating it was way smooth, the ICON is in no way rough, kinda hard to explain... stiff is not the term either. I guess sturdy yet smooth would be the best way to describe. all I could say is I'm very happy and would never go back to stock. Pics after wheels and tires go on, Fuel Vapors w/ Nitto T Grapplers. Extremely happy with the stage 1 kit. The ride is firmer than stock, but not harsh. I notice an immediate improvement when hitting harsh bumps and holes. Feels far more controlled when bombing down a gravel road. Went with a 295/70R17 Nitto Ridge Grappler on Icon Alloys Alpha wheels. Suspension kit is excellent. There was an issue with installation. The struts had the stickers switched which costs me 2 hours shop time at over $100/hr. that hurt. We tried to install the drivers side first and could only get two bolts lined up. After lots of measuring, trying to re-install, and more measuring/installing, we finally decided that the stickers were put on the wrong struts. We grabbed the strut marked passenger and it fit on the drivers side. Took only 30 minutes to put the passenger side on. I did get the truck aligned and had to buy the camber strut bolts since 15' F150's cannot be adjusted. With new camber adjustable bolts and alignment completed, took the truck for a spin on some local dirt roads and highway and all was good...tracked straight and the steering wheel was centered. I've put over 500 miles on it now and the ride quality on and off road is just excellent. Had to take 1 star for lack of QA. I put this kit on 15' F150 FX4. It took about 3 hours in my driveway. It's a really well put together kit, great quality and great fitment. It's a bit more harsh than stock but still rides really well. The only small negative I had was I needed the full 2.5' and once I installed it, I realized I only got 2' and when I investigated the issue found out that the 2.5' kit comes out of the box at 2' of lift not 2.5'. So now I have to go back and adjust it up a bit but other than that it's fantastic. 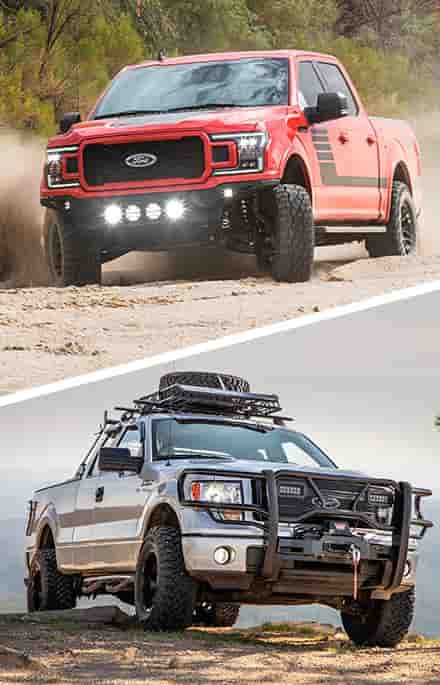 IN THE PICTURE OF THE GREY 2015 F150 IS THE REAR LIFTED OR STOCK? I'm not sure about ICON's truck, but our 2.7L F150 (seen here) has no additional lift in the rear. Was this answer helpful? 12 of 13 Found Helpful. The coilovers can be adjusted down to the F150's factory ride height up to 2.5" over the stock ride height. 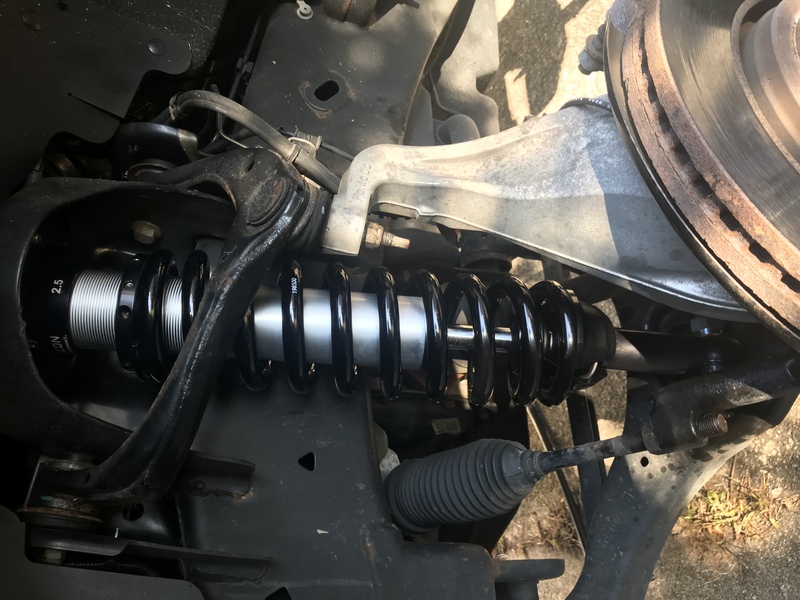 The rear shocks don't add any lift, so the truck would go back to having the factory rake if the coilovers are adjusted down. Was this answer helpful? 7 of 8 Found Helpful. Can the front coils be raised higher than the 2.5 or is that the maximum limitation? I'm wondering why the Boss kit adjust to 3" and this doesn't? 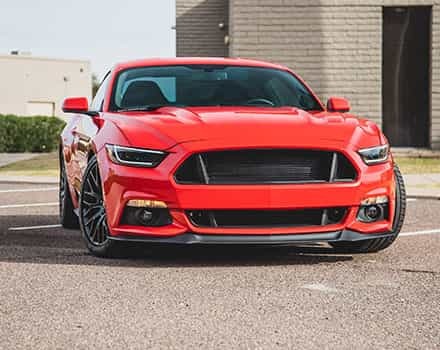 The coilovers maximum ride height is 2.5" over stock, and it just has to do with the way their mounts, shock body, and adjustment collar were designed and how they were valved. Was this answer helpful? 6 of 6 Found Helpful. What is the warranty on this system? Will I have to rebuild shocks at 50,000 miles like the FOX shocks? 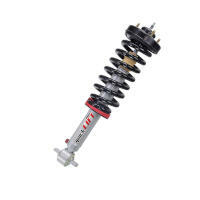 The coilovers and shocks come with a limited lifetime warranty from ICON. Rebuild intervals are going to depend on how hard you push the system and how often you take the kit off-road. I am wondering if I can use the Stage 1 Icon system along with a front spacer leveling kit? If so can you recommend a size? While you technically can use a spacer kit in conjunction with the coilovers, we generally do not recommend it due to concerns about ride quality, and stacking a spacer with the coilovers at their maximum height will throw off your UCA, LCA, tie rod, and CV angles to the point where you'd have problems. Was this answer helpful? 5 of 5 Found Helpful. We did not have any rubbing with 295 wide tires on the factory wheels, however, our tire was extremely close to the UCA, and 295 is the maximum width tire that we'd recommend with stock wheels and the ICON UCAs. A 305 wide tire would likely rub on the UCAs. That being said, this Stage 1 kit does not come with upper control arms, and you could use a 305 wide tire if you're planning on keeping the factory UCAs. If you want ICON UCAs, you would need to jump up to the ICON Stage 2 Kit. In the photo of the 2.7 Grey Supercrew, What is the wheel and tire specifications? Wheel size including backspacing and offset. Tire size. The wheels are OEM Ford 501a Package 20" Six-Spoke Wheels, which I believe are 20x8.5" with a +44mm offset and 6.5" of backspace. Tires are stock 275/55R20 BSW All-Terrains. Was this answer helpful? 4 of 6 Found Helpful. 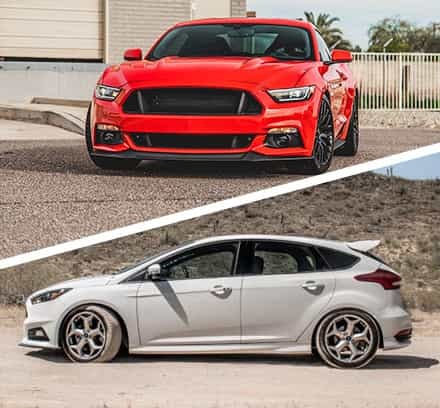 how much lift does the front coilovers come set at out of the box? Can they be adjusted with a spanner wrench while in place? Do you sell the spanner? The coilovers come preset at roughly their full 2.5" ride height out of the box. 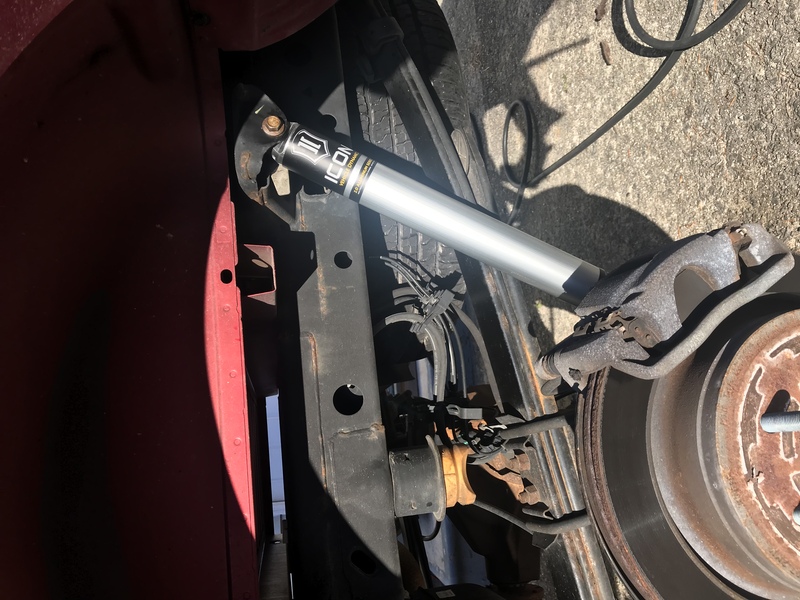 The coilover's ride height can technically be adjusted while on the truck, though it's kind of a pain due to the limited amount of room you have to rotate the spanner wrench with all the other suspension hardware and upper bucket in the way. Icon's 2.5 Coilover Spanner Wrench is here. I put these on my 2015 f150, I also put airbags on rear of truck. With 5lbs of air in them I'm 1" lower in front. Can I adjust coilovers up from the height they were shipped to me? The coilovers come preset at about 2" out of the box, so they have another 1/2" of adjustability out of the box, which would reduce your current rake, but probably not totally eliminate it. When do you expect this product to be available? They started shipping as of last week, though the inventory situation is expected to be fluid as Pre-Orders are filled. Red springs backordered until June 2019 Free Shipping!